Join us for this special professional development workshop designed just for K-12 educators. The evening will feature independent artist and educator Isaías D. Rodríguez, aka the Little Piñata Maker. Rodríguez visits New Mexico from California in conjunction with the National Hispanic Cultural Center's "The Piñata Exhibit (Sure to be a Smash Hit! 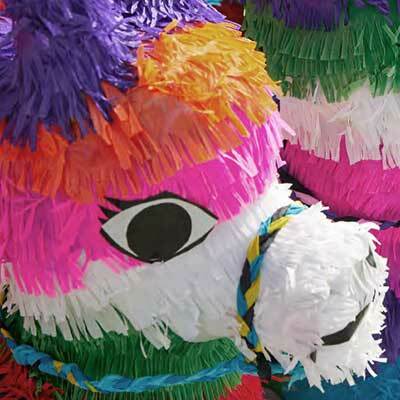 )," which celebrates piñatas as a popular art form with over 175 examples from Mexico, California, Arizona, Nevada, Texas and New Mexico. Building on the exhibit, Rodríguez will share with teachers the importance of this historical art form and also lead a hands-on activity to demonstrate how they can bring mini piñatas into their classroom. Rodríguez is an independent multimedia artist, educator, and entrepreneur.